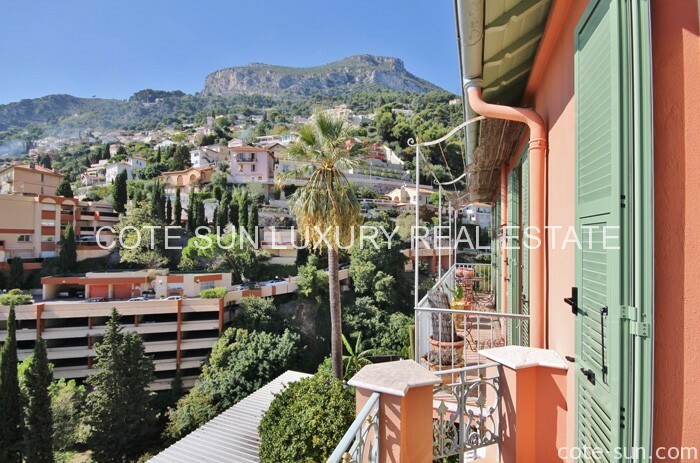 UNIQUE OPPORTUNITY NEAR MONTE CARLO AMAZING 2 BEDROOMS FLAT, LAST FLOOR OF OLD HOTEL OF THE 20’s ABOVE THE BEACHES OF “ GOLFE BLEU “ IN ROQUEBRUNE CAP MARTIN . 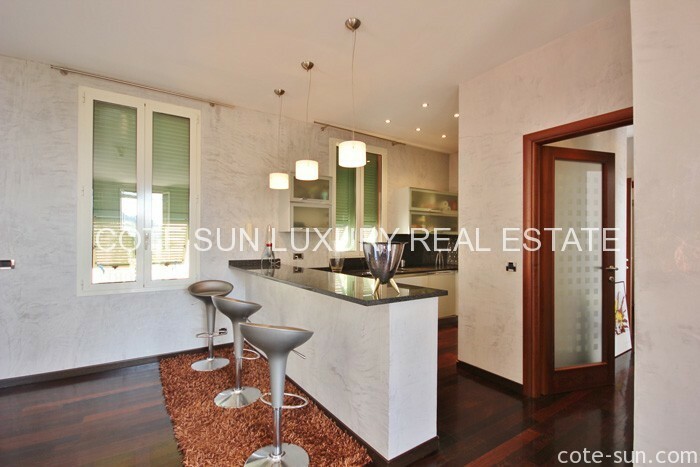 90 sqm,ultra contemporary flat totaly refurbished at 2 kms from Monte Carlo . 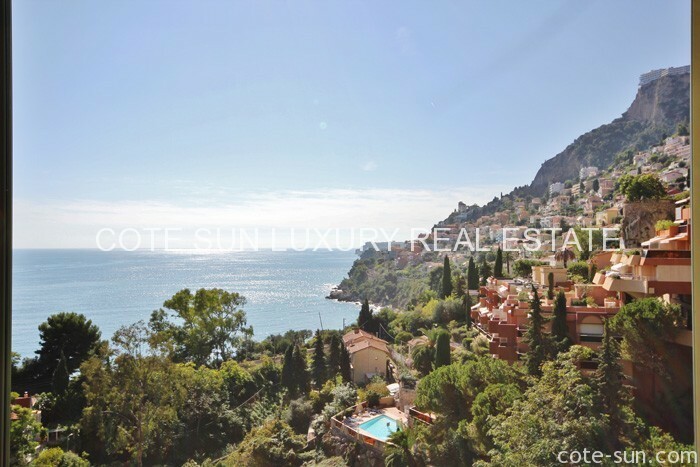 Spectacular view onto the sea and Monte Carlo . Very quiet and sunny place . 1st and last floor . 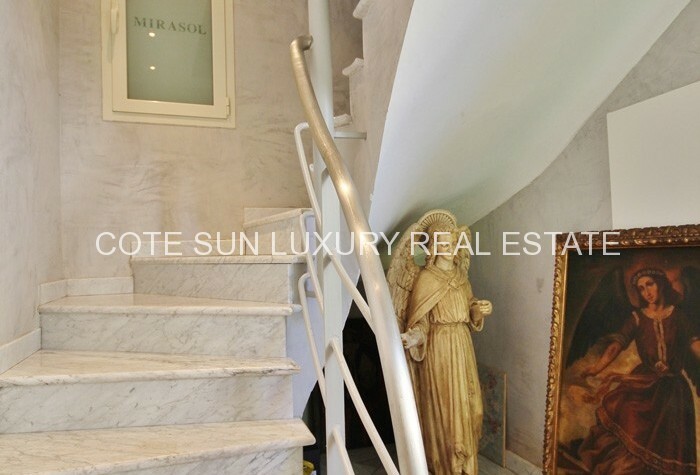 Private entrance with marble staircase & flooring . 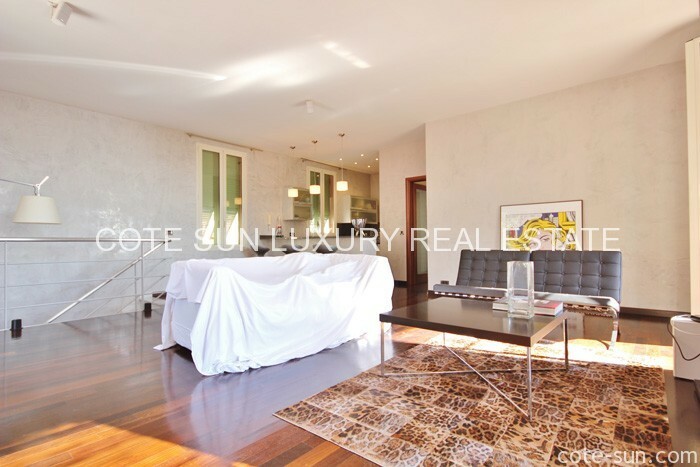 50 sq m living room going onto the balcony facing Monte Carlo and the sea . All fitted open kitchen . 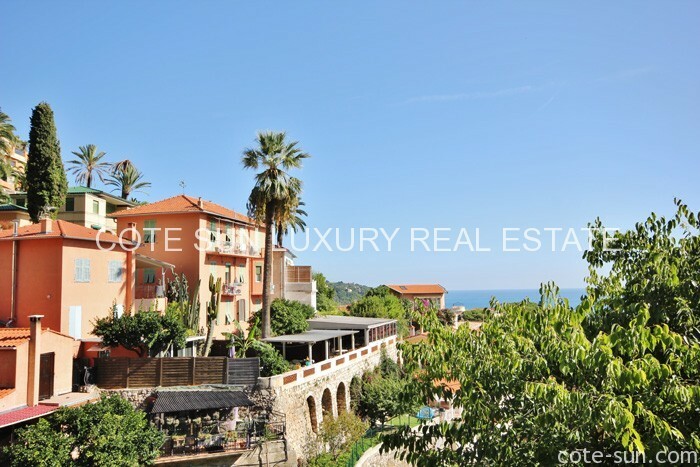 Two bedrooms with wardrobes going into terrace and balcony facing the sea and Monte Carlo . Toilets and complete bath room with shower , jacuzzi (Duravit and Grohe equipped) . 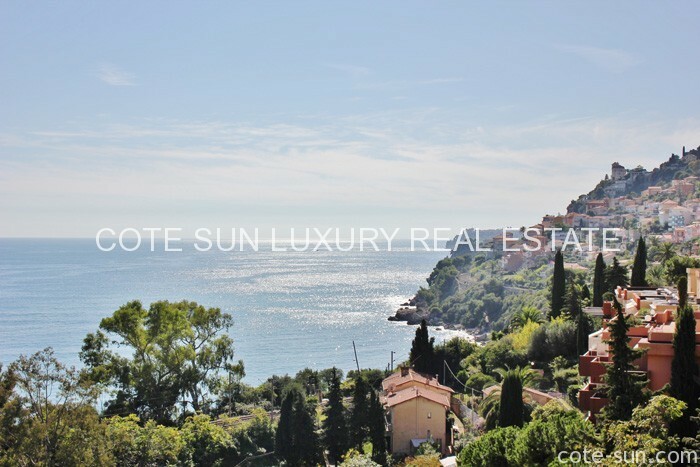 10 sq m balcony plus terrace for the master bedroom with stunning sea view and view onto Monte Carlo . Very rafinated features (Marble ,inox, Wengé flooring ,stucco venezziano , Bisazza tiles ) . 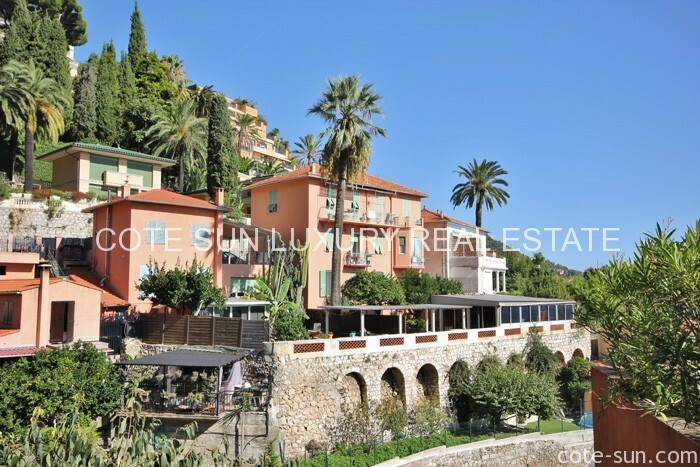 Possibility closed garage ( 50 000 € ). Private parking just in front of the private entrance .